Shootings and a developing hostage situation have been reported in Paris, France. About 60 people are reportedly being held in a Bataclan concert hall in central Paris after shots were fired during the concert of a California rock group called Eagles of Death Metal. Shootings were also reported at Le Cambodge restaurant and a bar called Le Carillon both in the 10th arrondissement. 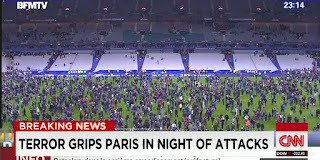 Reports of an explosion at Stade de France, where the French soccer team was playing Germany are also circulating. 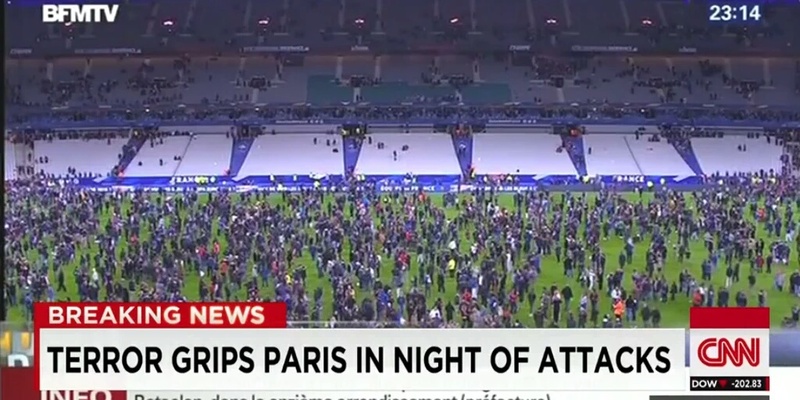 French media have indicated a strong possibility that a suicide bomber was involved. This follows confirmation released last Friday by the US that it was reasonably certain that Mohammed Emwazi a.k.a. 'Jihadi John' was killed in a US-British missile strike last week. Emwazi is regarded as 'the face of ISIS' having made a name for himself appearing in the group's brutally graphic execution videos.